You can feel it in the air: a full season of barbequing, cottaging, camping, and of course patio-ing are upon us. Yes, SUMMER is here, and we have the May long weekend to kick off all the summer fun. But what other activates besides the usual can you do to take full advantage of this much anticipated season with little or no cost. Here is a list of things that any avid summer goer should be sure conquer this year. 1. Fly a Kite. Seriously! When was the last time you actually flew a kite? Think about it. It has probably been a long time. So get your family and friends together, dust off that old dragon kite that’s been hiding in the garage, and head down to the park for a great afternoon of free wholesome fun. To make it really special, stop for ice cream on the way home. 3. Visit your local library. If you haven’t been in a long time you should re-discover it. It’s probably not the old, stuffy place that you remember. Today’s libraries offer new-release DVDs of your favourite blockbusters and TV shows, CDs and magazines, internet access, free downloads to your portable device, fun events and programs, and, oh yeah, books too. Find out when your library releases all the new stuff. It is the best day to visit and explore. And it’s all free! 4. Become a Photographer. Grab your camera (any one will do) and get out to your favourite places and spaces. Find something that inspires you and capture it from many different angles. Select your best shots to use as gifts, or for a do-it-yourself wall art project. 5. Attend a local Sports Team game. Local sports are a low-cost alternative to driving to Toronto to see a big league team. Tickets usually run for about $10 and kids are often free. Kitchener has several teams to choose from, from baseball to lacrosse, and even Roller Derby. Support your local sports community and athletes and enjoy the game! 6. Go for a Swim. Outdoor community pools will be opening in June, offering classes and programs such as swimming lessons, water polo, synchronized swimming, or simply a break from the summer heat. 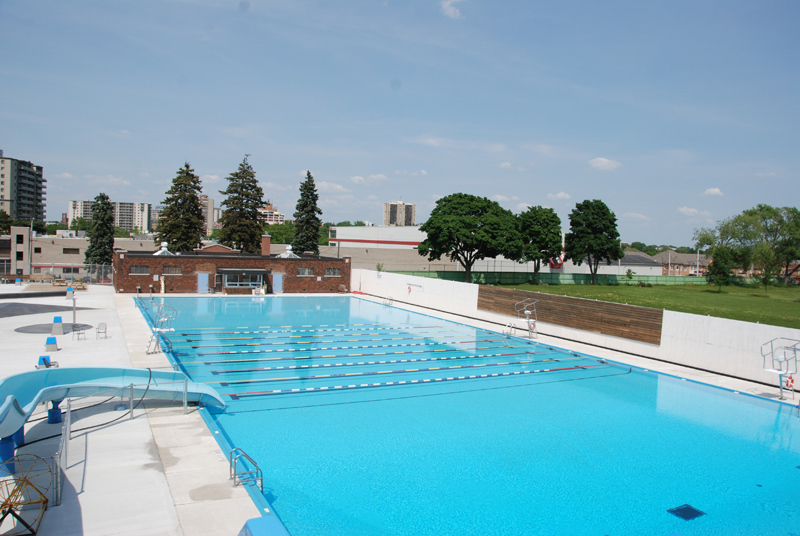 We suggest visiting Harry Class Pool, newly renovated and re-designed by John MacDonald Architect. 7. Take an Art Class. The city offers tons of art and culture classes. All you have to do is select the one that interests you. Bring a friend to share the fun, and by the end of the class your results may surprise you. 8. Take a Tour of the City. Self-guided walking tours are offered on the City’s website at www.kitchener.ca/en/livinginkitchener/SelfGuidedTours.asp. Five tour options are available with a printable map with landmark descriptions. Learn about your community and get some exercise at the same time. Stop for lunch at a local restaurant that you have never visited before, for a fresh take on your community. Get out this summer. 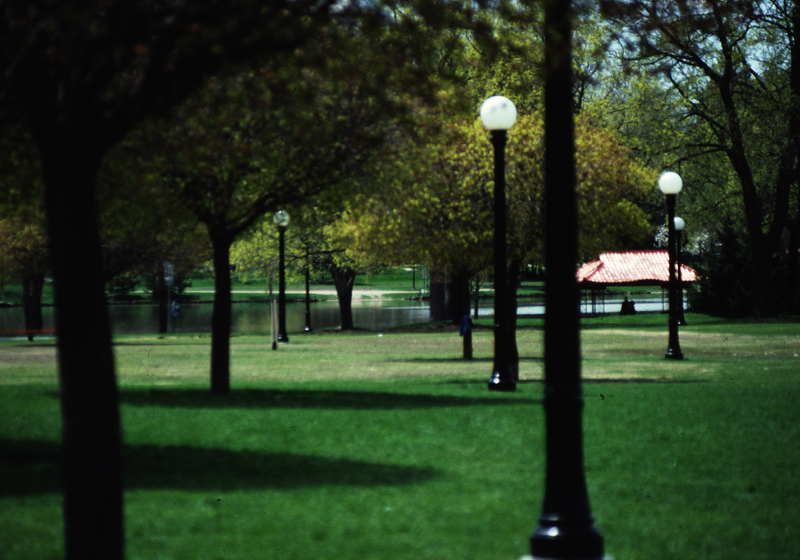 Be active and enjoy everything your community has to offer. Trying new things and sharing new experiences is a fantastic way to spend your summer. It doesn’t have to cost a lot of money; you just have to have fun! This entry was posted in Community, Grand River and tagged blockbuster new release on 2012/05/17 by adminjma.